Want to know more about online learning options? Need information about associated costs? Looking for information to share with your organization? learning session to your PFLAG conference or meeting? We’re here to help! Download the NEW: 2019 Straight for Equality in the Workplace Learning Session Catalog! 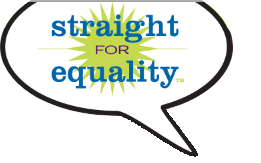 Then e-mail us at info@straightforequality.org or call (202) 467-8180 as soon as possible and we can answer all of your questions. If you’re planning for your employee resource group or at your workplace, please plan ahead. Months like April, June, and October fill up fast and we want to be sure to be able to meet your organization's needs!